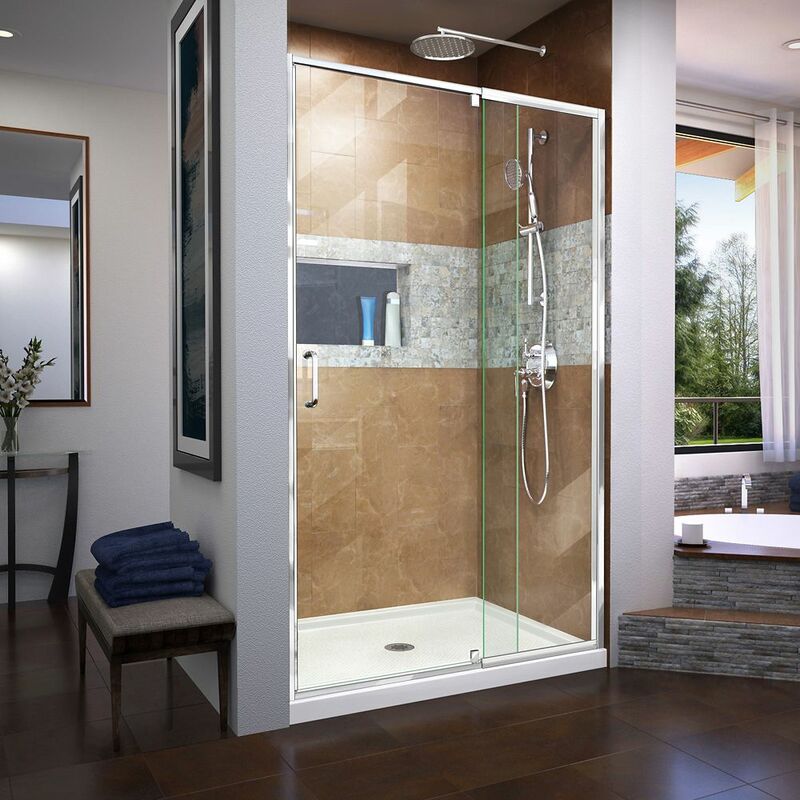 Flex 48-inch x 72-inch Frameless Rectangular Pivot/Hinged Clear Shower Door with Chrome Hardware is rated 4.3 out of 5 by 19. Rated 4 out of 5 by Carol from My new shower door is great!The installation instructions are ok.... My new shower door is great!The installation instructions are ok. The ease of installation was a little harder than say, sliding doors. Only wish it had come in rain glass instead of clear. Rated 4 out of 5 by Westman24 from Overall pleased. No problems installing although you must be careful handling the glass and foll... Overall pleased. No problems installing although you must be careful handling the glass and follow instructions. I noticed several posts about leaks. We have none. I believe if you follow instructions where and how to caulk and you install the door drip edge you will have no problems. Rated 5 out of 5 by Jennifer from It was perfect. It was perfect.